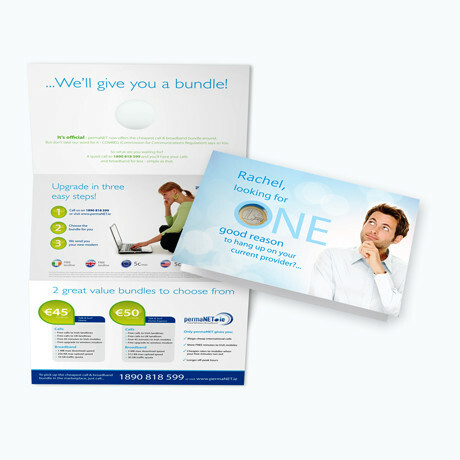 Broadband and telecoms service provider Permanet needed a cost effective direct marketing solution that would help migrate existing customers from calls to a combined calls and broadband bundle. In an industry where advertising is sometimes accused of be overly complex and often downright confusing, this DM needed to convey a clear, concise and persuasive message from the get go. 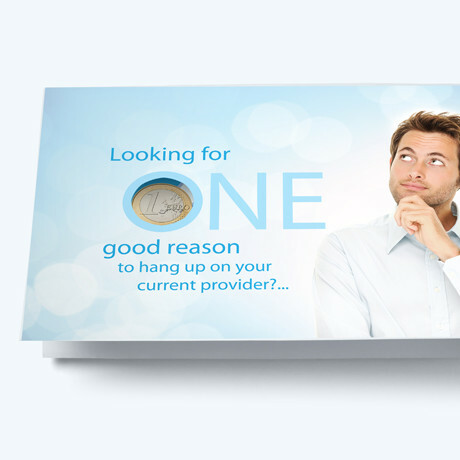 Copy was critical…linking strong teaser copy to a clever pay-off and clear calls to action, this certainly wasn’t another jargon heavy telecoms snooze fest. 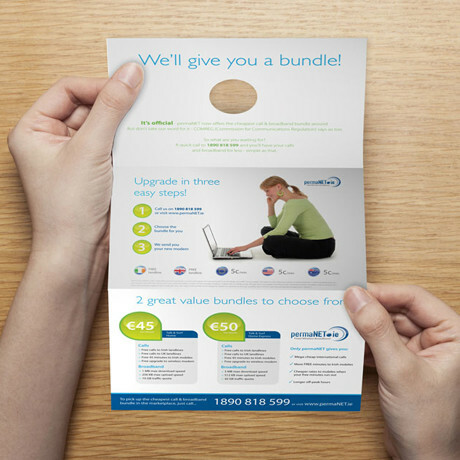 The resulting 2 part mailer comprised of a personalised letter within a self mailer, fold-out leaflet. Combined with a follow-up direct email it proved highly effective and delivered impressive results.